Chickweed is another very common winter annual weed. They germinate in the fall and overwinter. In the spring they become noticeable with excess growth. There are two chickweed species in our area, common chickweed and mouse ear chickweed. 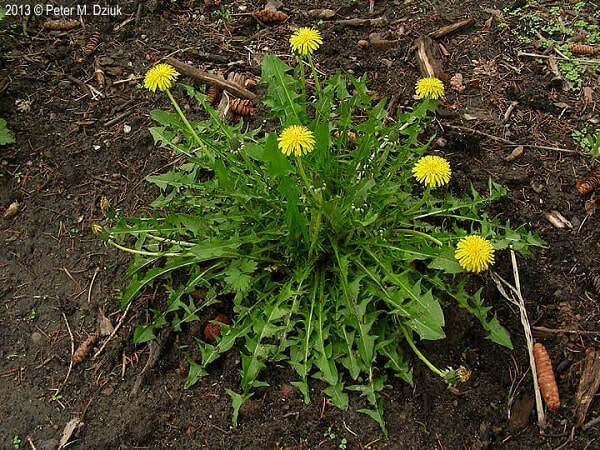 Both grow low to the ground and have small, oval leaves with tiny hairs that are oppositely arranged around the stem. The mouse ear chickweed has more hairs on the leaves and really look like mouse ears. 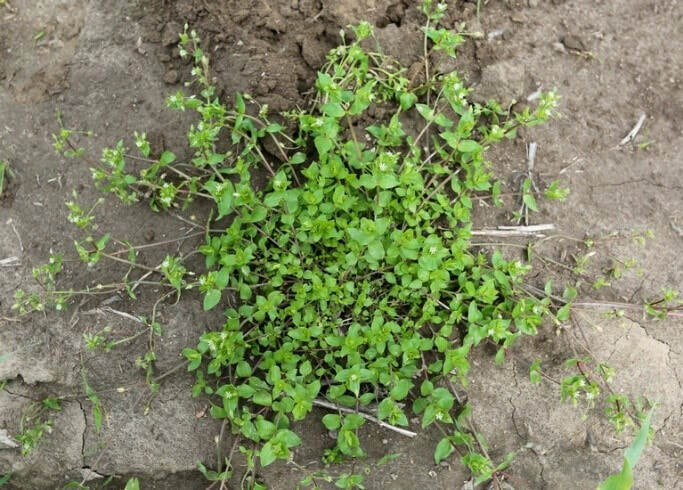 Chickweed is best controlled in the fall. It has a shallow root system that is easy to pull in the spring. 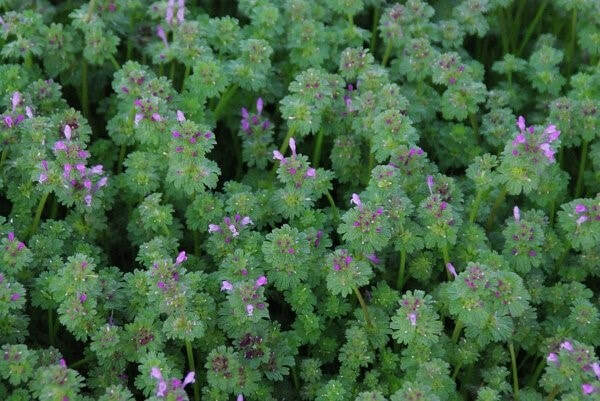 Henbit is a winter annual weed that you may be noticing right now. They are rapidly growing in your garden area and have little purple flowers. When you pass a green space with a patch of purple, that’s likely henbit. Henbit’s purple flowers and a square stem make it easily identifiable. Plants germinate in the fall and overwinter. The fall is the best time to control the plants. Consider leaving them until you’re ready to plant. They have shallow root systems, so they are easy to pull. Early pollinators benefit from their flowers as there are just a few blooming plants now. Soon everything will be in bloom and you can pull before it goes to seed.